The birth of a child should be a joyous occasion, but nearly 3 percent of all childbirths in the United States involve birth injuries. Sadly, such injuries are more serious and prevalent than many expectant parents realize. Injuries to the brain are particularly serious and life-threatening to newborn babies. Brain injuries can significantly slow mental cognition, impede physical growth, and even result in death. Without timely intervention, these conditions escalate and result in serious long-term implications, including permanent brain damage or brain injury. 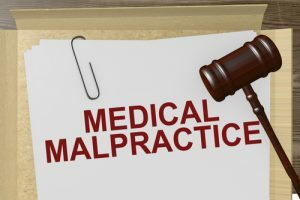 The devastating injuries that may occur due to medical malpractice can change the lives of both children and their parents forever. If your infant has been the victim of medical negligence on the part of a doctor or nurse, then you should not be held responsible for the significant medical and ongoing care costs associated with the birth injuries. To recover damages in a birth injury suit on behalf of your child, call a Michigan birth injury lawyer at Thurswell Law to learn more about your legal rights. Our experienced attorneys are available for a free consultation 24 hours a day, 7 days a week. Call now toll-free at (866)-354-5544.